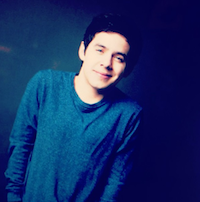 Thanks to the amazing thop1984, here is David Archuleta’s incredible Nashville Invisible Children acoustic set on video. I’m not coherent enough right now to say anything about it … maybe tomorrow, lol. I literally feel like a meteor just hit me. Yes, we’ve missed seeing David perform live, but it’s more than that. It’s obvious while we’ve been playing old vids and recordings since we last saw him, he’s been moving at the speed of light. And that Gotta Get Thru this/message In A Bottle??? It was like a key fitting in a lock. So right. What a groove. He said he wanted to get a vibe going. This new sound he’s working on might be new to us, but it feels like it’s not new to him at all… it’s rumbling right up out of the soulful marrow of his bones. He kept thanking everyone who came, who donated, saying he wanted to give back for that generosity… makes you want to give even more, doesn’t it? P.S. mp3 of the whole concert from the incredibly amazing Abrra, download HERE. 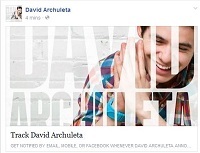 This entry was posted in Concert recap and tagged David Archuleta, Invisible Children, Nashville. Bookmark the permalink. OMgosh……bluuueeesssy, soulllfulll, matured, awesome, incredible and yes epic performance! Loved it all and loved it some more. Adore the acoustic David, loved the song “Gotta Get Through This”, not sure if it is new or old but first time I’ve heard it. It was amazing, wow, as was every song he did. POTC so heartfelt again, oh my, as was the duet he did. Love his band members too (and the bongos)! The whole set was wonderful and David….so good to see him perform again! What a beautiful and awesome cause too, enwraps the heart as David always manages to do (and did). 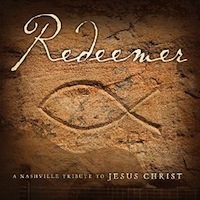 Am listening to the MP3 I just downloaded, courtesy of the wonderful Abrra. j/k I pretty much died. GGTT is pretty much the most amazing thing ever. I’ve barely been able to pull myself away from it to listen to the rest of the concert again. For sure my favourite performance in a loooong time. To tell you the truth, I can’t think at all after that performance. Dead. Am so schtooooooopid! I have HD video of David’s Break the Silence — THE FULL SET! Darn-gosh-me! I uploaded it to my JRforDA11 channel. Out of excitement I forgot that that channel does not allow me to upload more than 15 min of video time. So after it finished this morning, it got rejected. Ay caramba! Am re-uploading to my JRforDAI channel. But am sure other archies would have uploaded their videos by now. But I promise, it is good quality vid — all 33 minutes of it! no prob (((JR))) Your vids are worth waiting for!!! NA then Invisible Children set…GGTT cover, written by Daniel Bedingfield (“Works for Me” David wrote with Daniel)…”Sounds of Silence,” a duet, no less…”My Hands” acoustic…TOSOD, Crush, POTC. 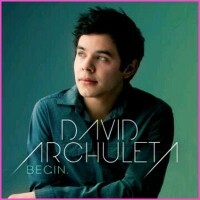 I’m done with wondering about the background details of all this…”whatever David sings, whenever” is my new motto. He is who he is and will do what he will do…I have the easy part, just sit back, relax, hang out with all my fellow Archu-Loonies, and e.n.j.o.y. Life is gooood…and…all the sweeter with a dash or a deluge of Mr. Archuleta’s music pro re nata. I would love to know how the crowd was – receptive??? twit vids, Abrra’s mp3 – the crowd seems quiet? David was so “on” tonight. The moments leading up to breaking the silence were so incredibly moving. Then once we broke the silence it was like a big pep rally!! D & everyone came out on the stage & got everyone pumped! His set was INCREDIBLE as you saw!! And how’bout D doin’ acoustic MY HANDS!!! HOLY CRAPOLA!!! LOVE.THAT.DANG.SONG!! And then POTC??? BAWLING!!! So moving… the audience was so silent & then there was this huge roar of applause afterwards! The song couldn’t have been any more perfect for the event! 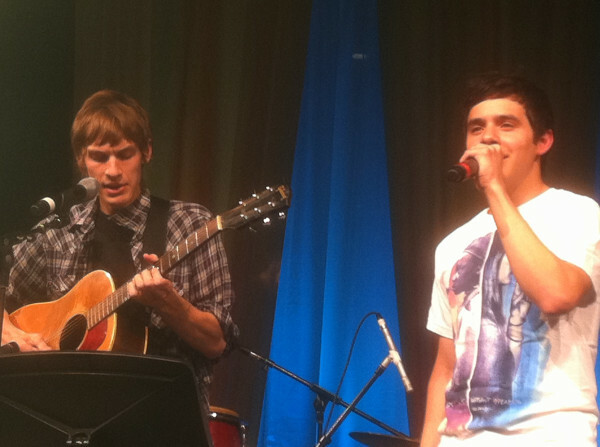 D & Landon were so awesome together Their voices matched the song to a T! The crowd is quiet….. which is great for the mp3. Maybe the crowd was not that big??? I am pretty much out of eeeeepness……loved, loved, loved what Mr Soul Man from Utaaaah does when he sings live, I'm not gettin enough. I swear this entire concert will be on repeat for at least a month. ((((kizzi)))) " just sit back, relax, hang out with all my fellow Archu-Loonies, and e.n.j.o.y." Can I jump up and down and relax??? refnaf – “Can I jump up and down and relax?? ?” You can TRY lol! LOL, ref, “Can I jump up and down and relax?? ?” Yes!!! I’ve about decided that all I have to “get through” today is the repeat repeat repeat of GGTT. I LOVED POTC but I can’t get through “Gotta Get Through This” either. Love the groove with the new band members. I still haven’t really made it past GGTT. I can’t stop hitting replay either! It was so good seeing and hearing David entertain LIVE with two new band members. Yes he’s got his groove on and the soul oozes out of him. We even got the”ha” in TOSOD. Loved everything and especially the mashup of Gotta Get Through This/Message in a bottle. Of course Prayer Of The Children was so heartfelt and appropriate for this event. Liked the duet but thinks David held back a little so as not to overshadow Higgins. I’m with Kizzi and all sitting back,Jumpin up and down and grooving with the Archu-Loonies. Hoping in due time David will be able to reveal more tour news. Patience Lord,but hurry up. Just to clarify, I meant LIVE on the stream. Wasn’t one of the lucky ones there. Yes, definitely felt like a tsunami didn’t it? Here’s the latest placeholder for DA.com … looks like that “small photoshoot” must’ve been with Matt Clayton! 🙂 🙂 🙂 Love the piano-key countdown clock! Great picture for sure. It shows the color of his eyes, that gold/hazel liquid quality. And Matt Clayton captures a special something, a here and now quality. How do you know it’s Matt’s work? The photographer who did the shoot for TOSOD also was able to take some great REAL photos too. Sunshine!! So glad you survived, The GGTT vortex is especially deadly…..
Oh! oh! Melinda Doolittle tweeted David if he is still in Nashville! O God please, lete there a collab! Love Melinda! LOL that she called him out for not following her, haha. HELP, I can’t stop watching﻿ this vid…I’m getting nothing done today… oh well, there’s always tomorrow..haha..
Haha, sounds like everyone is still sending out their SOS! Still in recovery mode, lol. When you get knocked off your feet like we all did last night, takes a while to get back up! When David gets down deep in his knees and in his soul, whoa. Keep watching his performances every chance I get, soooo out of this world good! Wow, what a beautiful photo of David on his new and upcoming site. Exciting things to come for sure! JR…..your video quality (and audio) is awesome, thanks. Well said peppertara! CAN NOT GET GGTT out of my head> not that I want to. JR we **bow** again to you our vid Queen!!! !